In any electronic circuit we can execute a certain logic with the help of the logic Gates. 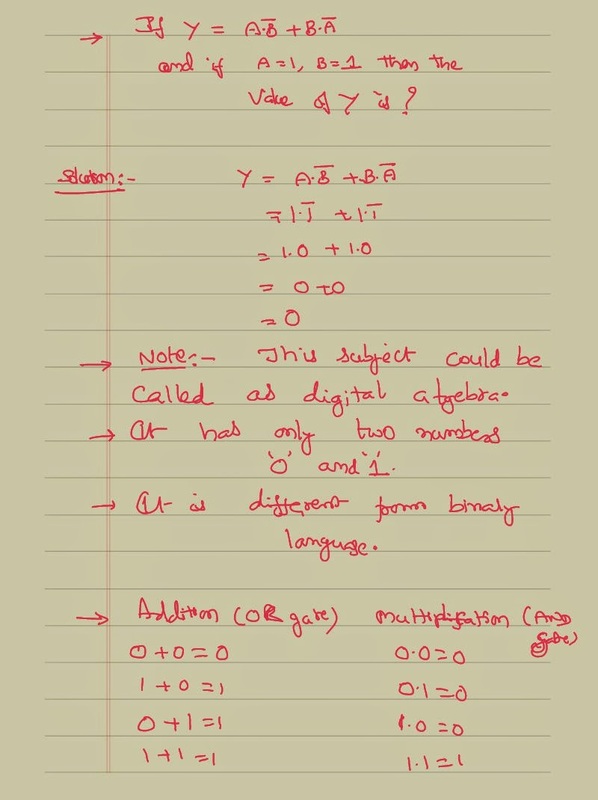 Here we shall understand how to solve problems using this kind of logic and the digital algebra. There are different types of logic Gates as you mentioned in the previous post like OR gate, AND gate, NOT gate, NAND gate and NOR gate. 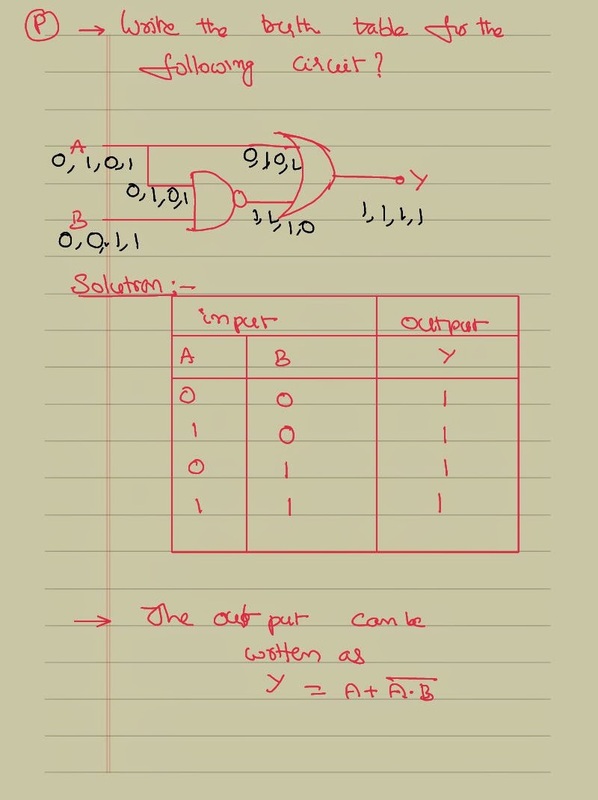 Here would like to solve small problem on the logic gates. Consider the following expression and identify when the expression leads to a zero value with with respect to the possible values of A AND B ? 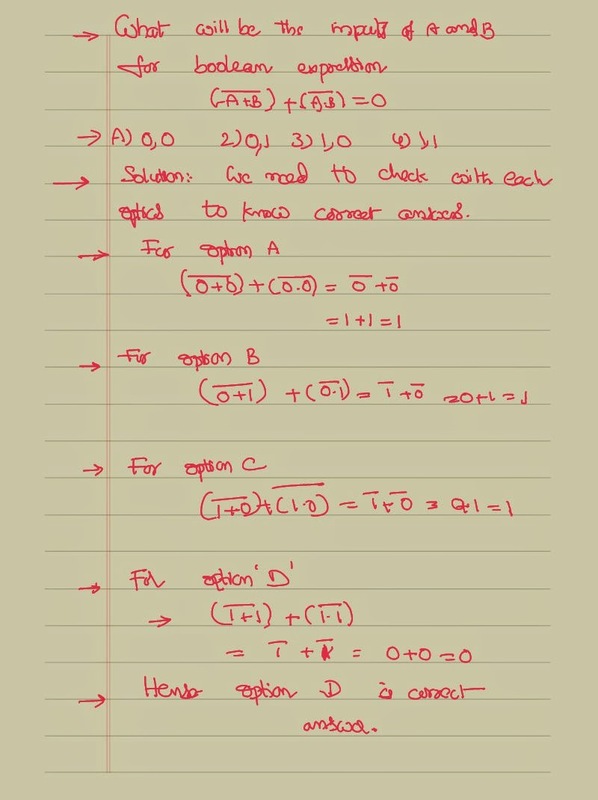 While solving this problem we have taken the digital electronics into consideration where and gate acts like an intersection function and target acts like a union function.We can write something in a union function when the input is at least in any of the function and we can write something on intersection function only when it is there in both the functions. The complete solution is as shown below. Find the value of the output for a given digital expression ? Here we shall consider solving one more problem is given below. A simple digital circuit is given who is consisting of different gates and we would like to know the possible output values for the different possible values of the input ? Find the output of the following digital circuit which consists of OR gate AND gate as shown. 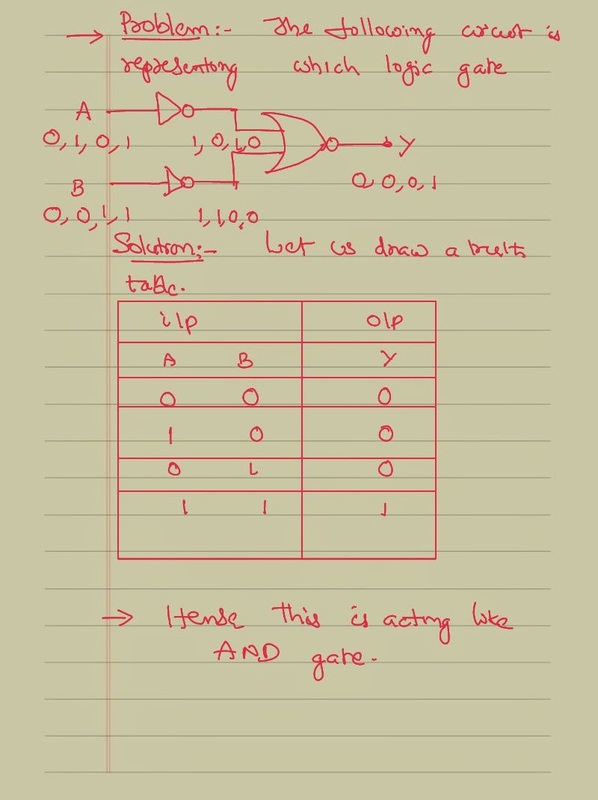 This problem is solved basing on the logic of the AND gate OR gate is shown below. 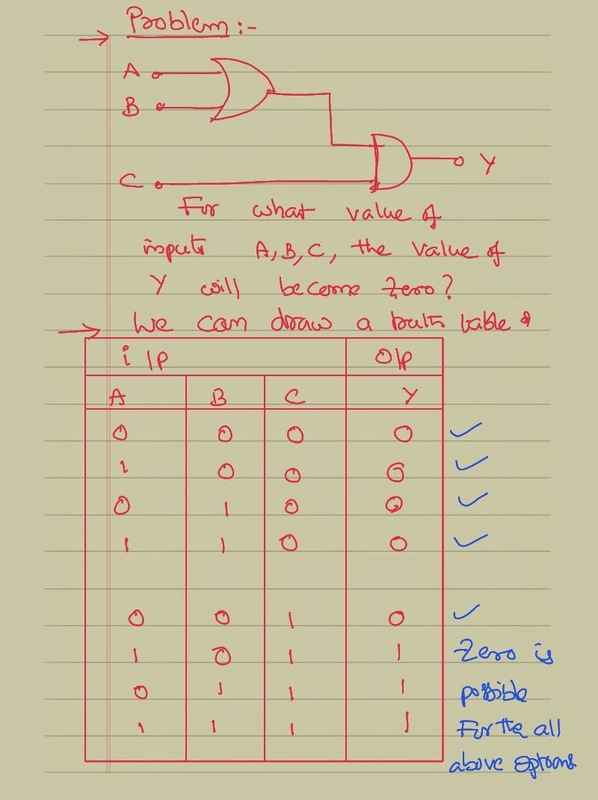 In solving all the above problems we had followed the simple logic of the logic gates and the distal algebra.